Generally, you have two years to bring suit for personal injuries that you sustain in a train accident. What Are Illinois' Rules For Bringing Train Accident Claims? What Do I Have To Do Before I Bring A Suit For Damages? Concerned Your Truck Accident Claims Might Be Too Late? Victims of personal injuries arising out of train accidents have 2 years to bring a lawsuit. 735 ILCS 5/13-202. 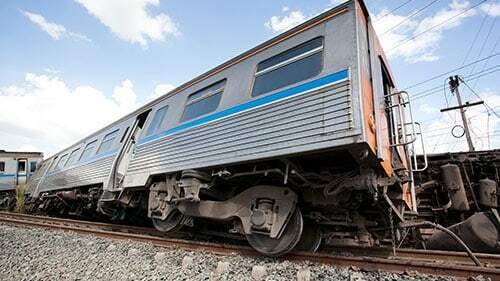 Plaintiffs with property damage arising out of train accidents have 5 years to bring a lawsuit. 735 ILCS 5/13-205. Persons wishing to bring a wrongful death action following a train accident have 2 years to file suit. 740 ILCS 180/2. Hire an experienced and capable personal injury firm. Investigate the circumstances of your incident and injuries. Consult state and federal law as well as all regulatory rules that pertain to your accident. Draft a complaint that adequately summarizes the event, your injuries, and your claims for relief. File the complaint in the appropriate courthouse before the appropriate statute of limitations has expired. This summarizes the main tasks that will occupy your time prior to filing the case. Naturally, there will be more things to do but this should give you a good overview. Rosenfeld Injury Lawyers LLC works overtime to make sure our clients get their lawsuits in on time. The consequences are severe because if you don't file before the deadline then you won't be able to pursue recovery at all. To make sure your truck accident claims aren't late, call Rosenfeld Injury Lawyers LLC today.